On the occasion of the 170th anniversary of composer’s birth, National Museum opens the unique exhibition on Antonín Dvořák. While using modern multimedia, the exhibition reveals new facts about the composer, his work and life, and presents outstanding collection of composer’s personal belongings, correspondence or original scores and autographs of his compositions. 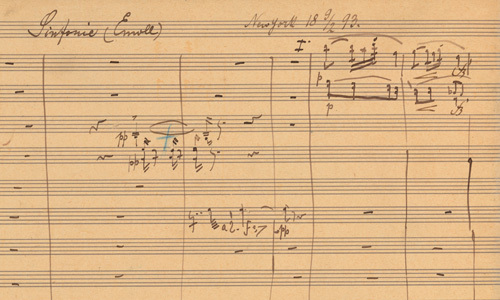 The display of the autograph of the most popular symphony ever, Dvořák’s Symphony No. 9 “From the New World” is going to be a unique opportunity. Antonín Dvořák’s largest collection in the world could be seen only during this National Museum exhibition! Visit us and see a unique collection you cannot see anywhere else! Valuable objects that haven’t been displayed before are going to be removed exceptionally from the safe-deposit. Do you like to listen to classical music?